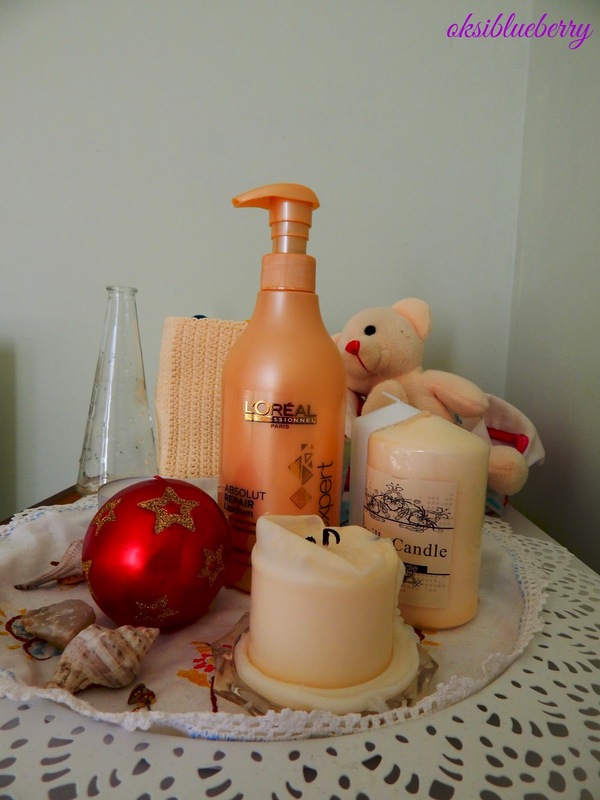 Today I wanted to share with you 2 shampoos that I'm using and absolutely love them. When it gets to hair care, I really want the best, I'm not afraid to spend much and I always try to know the opinion of people who tried it or hair salons' worker. After trying tons of shampoos (professional, herbal, drug store, super cheap or super expensive) I keep going back to L'Oreal professionnel line. As I found very good offer for two, I decided to pick two of my favourites from L'Oreal. I don't go to Absolut Repair often, but I believe in winter you need something like this. The shampoo claims to save very damaged hair. I cannot say I that I have very damaged hair, but I like the way shampoo moisturises and feels on my hair. My hair becomes very soft, shiny, the ends look nice and healthy. This guy is my all time favourite shampoo. No shampoo can make me feel so nice and fresh but this one. 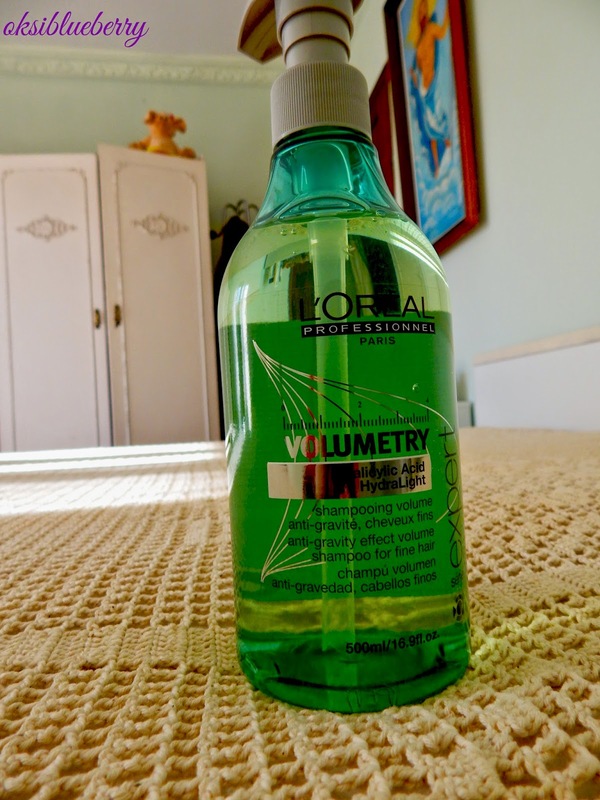 It has its volume effect on my thin hair, which I love, cause usually it's the thing I'm looking for in shampoos. Both shampoos have very nice fresh scent that I love. And I definitely recommend them to everybody. The salon's hairdresser will help you to pick the best for your hair type. 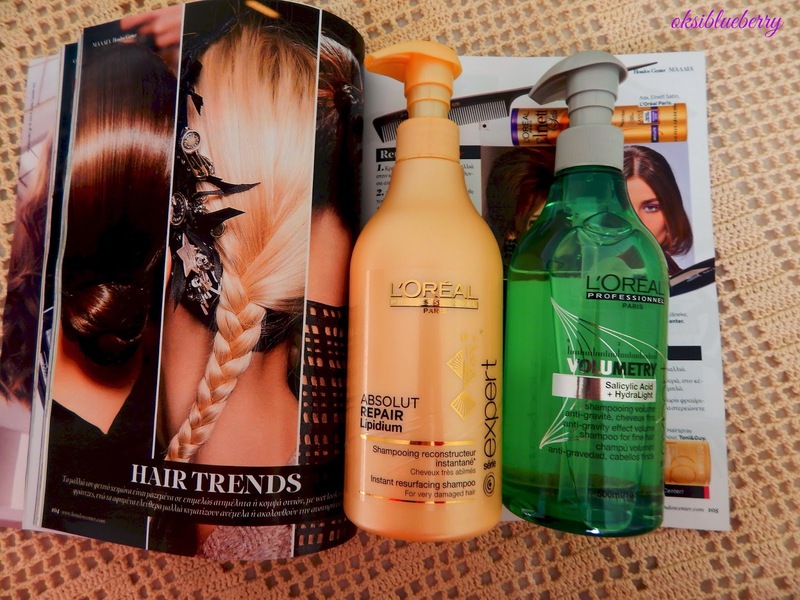 Have you tried any L'Oreal professionnel shampoos? which is your favourite one?